The 2018-2019 JMG program is at capacity and is not able to accept new applicants . The Heritage Jr. Master Gardener program is modeled after the Texas Master Gardener program through Texas A&M Agrilife often called JMG Kids. Certification represents approximately three years of creative and fun study and activities in horticultural and environmental science education. The program teaches leadership and life skills development in addition to community service. Annual fundraising sales during Heritage Gardeners Spring Bazaar. Congratulations JMG & Kaye Corey! 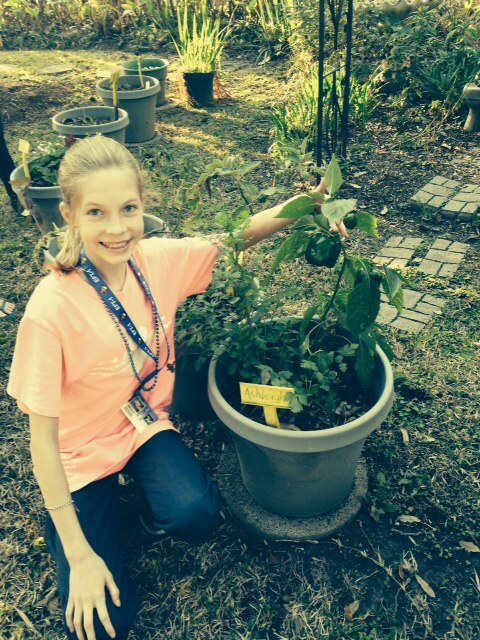 March 2017 JMG plant tomato, basil and peppers plants in their container gardens. Harvest cool season lettuce. JMG won a national garden photo contest in September. 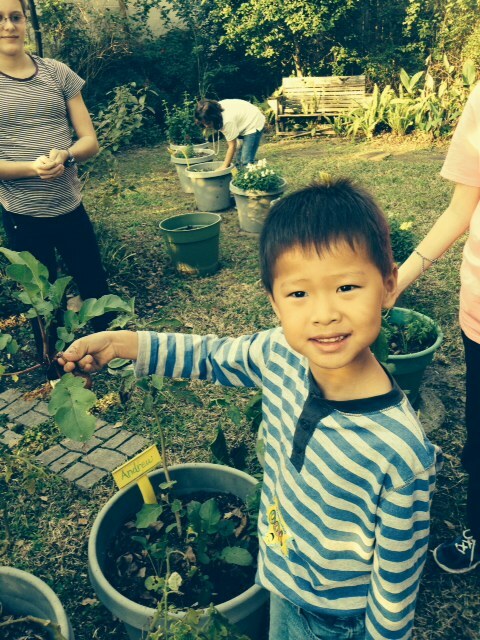 The Green Education Foundation and Gardener's Supply sponsored the contest requesting pictures of kids at schools and garden clubs working in their gardens. Kaye Corey entered the contest with pictures of two JMG sharing their green pepper harvest from their container gardens. As winners, the JMG photos are entered in the grand prize drawing and receive a $25 gift card to Gardeners Supply. Congratulations JMG!